Nectar of Life: Pristine beauty of Gujarat. Having explored the lower part of Gujarat a couple of years back, we decided to tour the upper part this time (November 2016). During the road trip from Jaipur to Gujarat, we visited the Brahma temple in Pushkar, Rajastan, before entering Gujarat. Luckily there was not too much crowd when we reached the temple, and could spend some time and perform puja there. 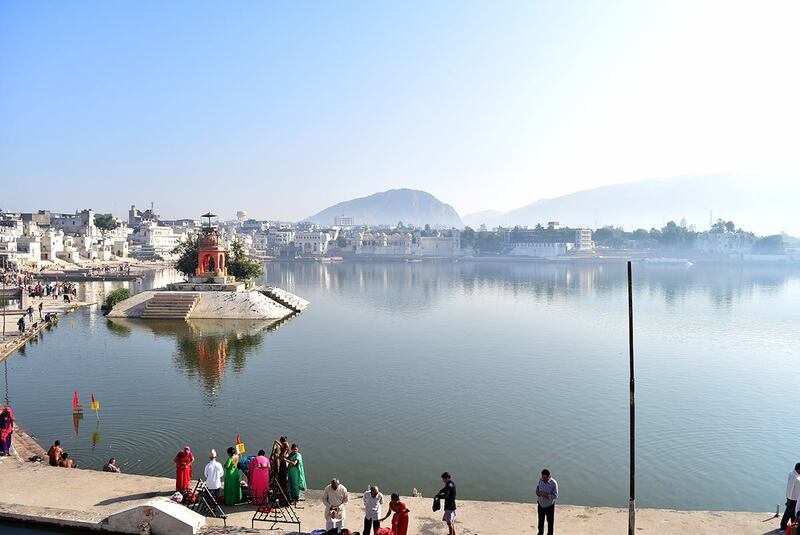 Pushkar is often described in the scriptures as the only Brahma temple in the world. Although now this temple does not remain the only Brahma temple, it is still one of very few existing temples dedicated to Brahma in India and the most prominent one dedicated to Brahma. According to the Hindu scripture Padma Purana, Brahma saw the demon Vajranabha (Vajranash in another version) trying to kill his children and harassing people. He immediately slew the demon with his weapon, the lotus-flower. 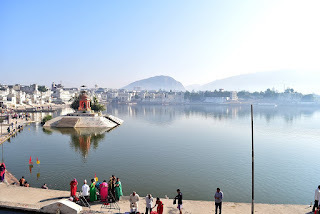 In this process, the lotus petals fell on the ground at three places, creating three lakes: the Pushkar Lake or Jyeshta Pushkar (greatest or first Pushkar), the Madya Pushkar (middle Pushkar) Lake, and Kanishta Pushkar (lowest or youngest Pushkar) lake. When Brahma came down to the earth, he named the place where the flower ("pushpa") fell from Brahma's hand ("kar") as "Pushkar". 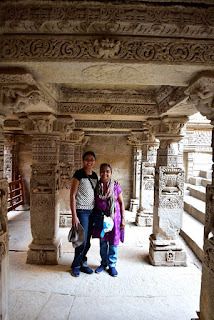 I had a spontaneous recall of a past life on reaching the Rani ki vav. I just didn’t feel like leaving that place! Rani ki vav is an intricately constructed stepwell situated in the town of Patan in Gujarat. It is located on the banks of Saraswati river. 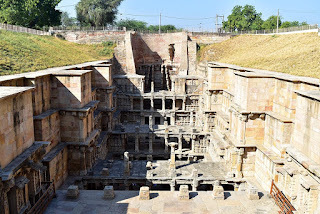 Rani ki vav was constructed during the rule of the Solanki dynasty. It is generally assumed that it was built in the memory of Bhima I (r. c. 1022–1064) by his widowed queen Udayamati. 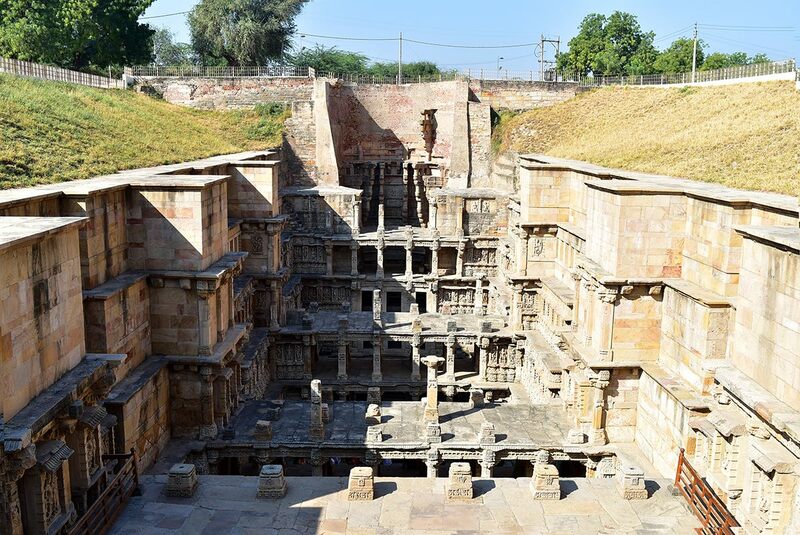 Stepwells are a distinctive form of subterranean water resource and storage systems on the Indian subcontinent, and have been constructed since the third millennium BC. 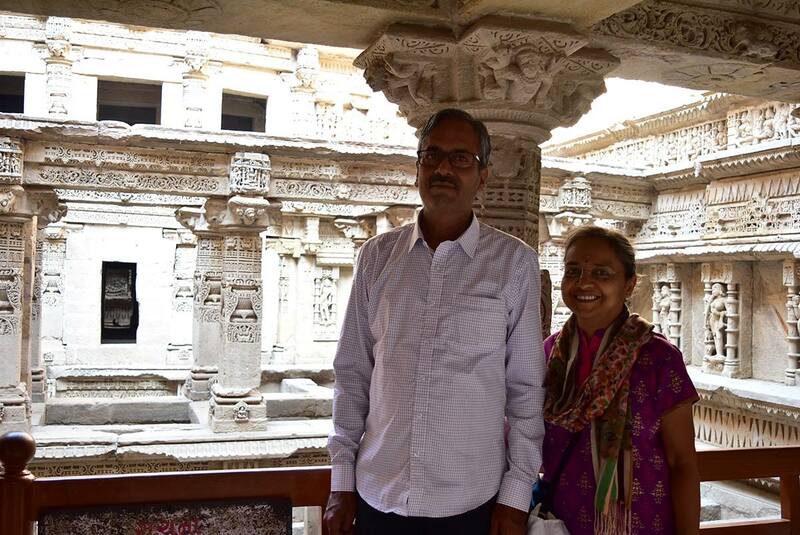 Rani-Ki-Vav is now considered to be the queen among step wells of India. It was built in the complex Maru-Gurjara architectural style with an inverted temple and seven levels of stairs and holds more than 500 sculptures. The stepwell was later flooded by the nearby Saraswati River and silted over until the late 1980s. When it was excavated by the Archaeological Survey of India, the carvings were found in pristine condition. The minute and exquisite carving of this vav is one of the finest specimens of its kind. 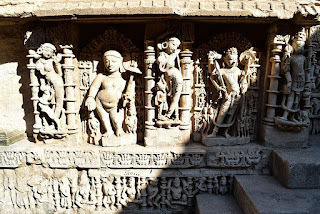 There are more than 800 elaborate sculptures among seven galleries.Most of the sculptures are in devotion to Vishnu, in the forms of Dus-Avatars Kalki, Rama, Krishna, Narsinh, Vaman, Varahi and others representing their return to the world. Nagkanya, Yogini, beautiful women and Apsaras showcase 16 different styles of make-up to look more attractive called Solah-shringar. Around 50–60 years back there were ayurvedic plants around this area, and the water accumulated in Rani ki vav was considered to be helpful for viral disease, fever etc. It is one of the five largest Harappan sites and most prominent archaeological sites in India belonging to the Indus Valley Civilization. It is also considered as having been the grandest of cities of its time. The site was discovered in 1967-1968 by J. P. Joshi ex. D.G. of A.S.I. 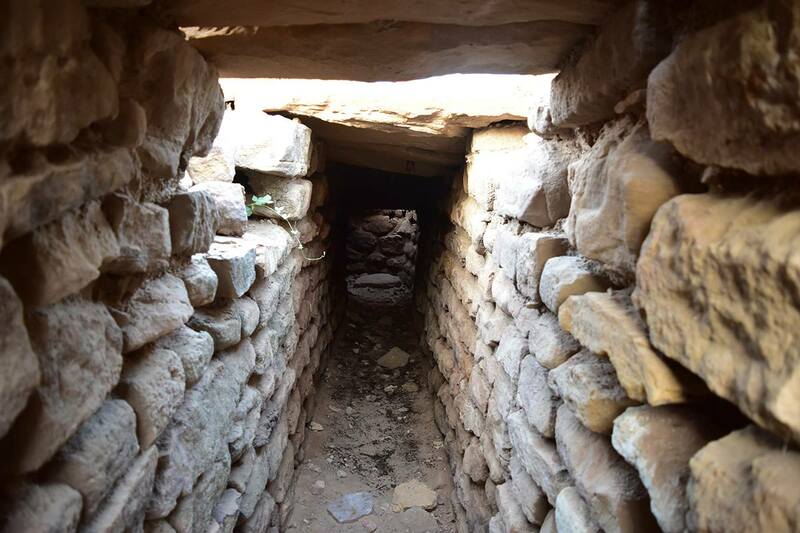 and is the fifth largest of eight major Harappan sites. It has been under excavation since 1990 by the Archaeological Survey of India, which opines that "Dholavira has indeed added new dimensions to personality of Indus Valley Civilisation". It was mesmerizing to watch these remnants and my fertile mind could very well imagine the grandeur of the place back then. The city was constructed to a pre-existing geometrical plan consisting of three divisions – the citadel, the middle town, and the lower town. The acropolis and the middle town had been furnished with their own defense-work, gateways, built-up areas, street system, wells, and large open spaces. The towering "castle" stands is defended by double ramparts. Next to this stands a place called the 'bailey' where important officials lived. The city within the general fortifications accounts for 48 ha (120 acres). The most striking feature of the city is that all of its buildings, at least in their present state of preservation, are built of stone. 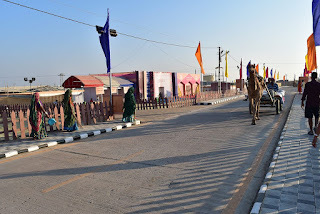 Bhujodi is a traditional crafts village inhabited by around 1200 people of the Vankar community of weavers, situated about 12 kms from Bhuj. Majority of the inhabitants are involved in textile handicraft production. There is a private enterprise here that gives free space and food for artisans to come and sell their products at economical price. It was nice o know that artisans are being encouraged in this way. There were nice collection of saris, suit cloths and metal handicrafts there. Banni grasslands form a belt of arid grassland ecosystem on the outer southern edge of the desert of the marshy salt flats of Rann of Kutch in Kutch District, Gujarat State. 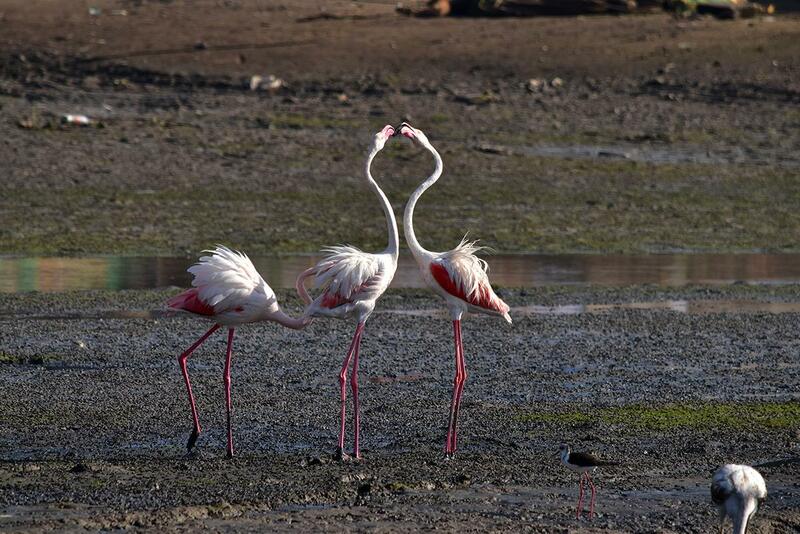 They are known for rich wildlife and biodiversity and are spread across an area of 3,847 square kilometres. The word ‘Banni’ comes from Hindi and Sanskrit word ‘banai’, meaning made. The land here was formed from the sediments that were deposited by the Indus and other rivers over thousands of years. Old villagers from this region say that before the 1819 Rann of Kutch earthquake, the river Indus flowed right through banni and the local farmers reaped a rich harvest of crops like red rice and sindhi chookha etc., Red rice was the staple diet of the people of the region and it was even recommended by medical practitioners as a 'light diet' for ailing people. 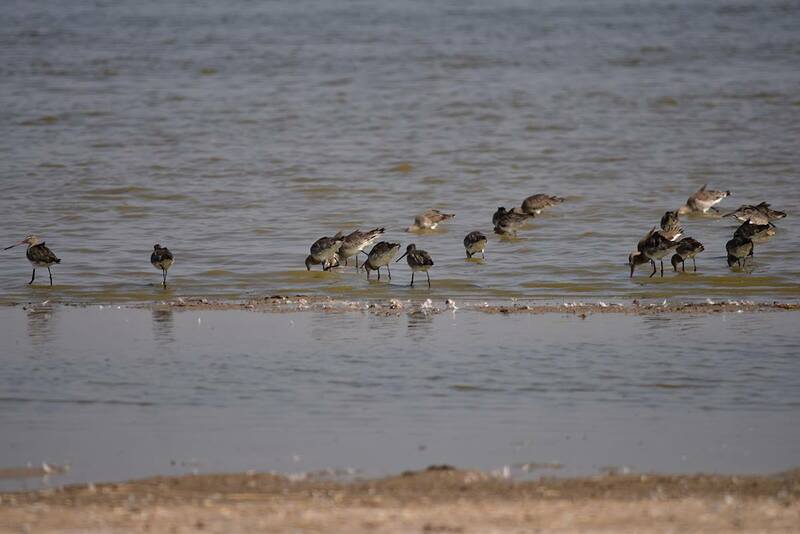 However, since the earthquake of 1819 the river Indus changed its course and now flows through Sindh in neighbouring country of Pakistan, effectively turning this entire region arid. 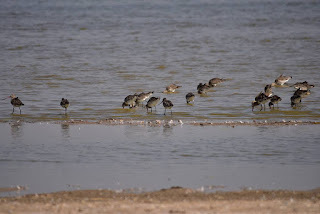 Monsoon rains each year forms several marshy wetlands which dot the Banni grasslands and the areas adjacent to it, all being seasonal in nature. These wetlands are located on the flyway of palaearctic migratory birds and play a very important role as foraging, roosting, resting and staging grounds for millions of waders, waterfowl, cranes and other feathered migrants that visit the area from August and staying until March every year. 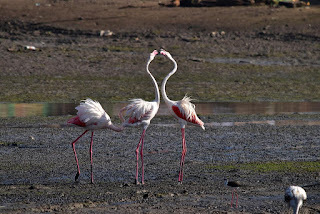 Thousands of flamingos in their breeding plumage, common cranes (Grus grus) and other wetland birds including hundreds of painted storks (Mycteria leucocephala) and Eurasian spoonbills (Platalea leucorodia) among others can be spotted in the larger of these seasonal wetlands of the Banni. 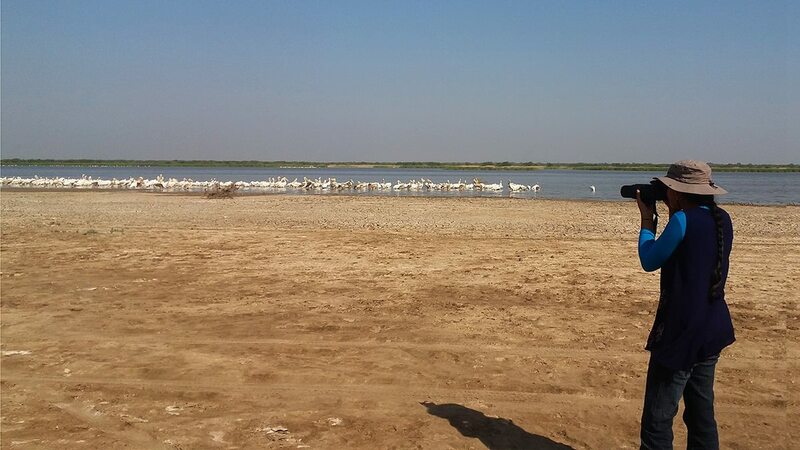 Watching thousands of all these birds was a unique experience and we got totally lost in time… and we lost our way!! There were stretches of land all around us, with only wheel marks to guide us through. We drove around for about half an hour, with no outcome. Then we saw some ladies under a tree. Tried to talk to them to ask the way out, but they didn’t understand our language. Then one lady took out a mobile phone and started talking. How could she charge her phone in this area, I wondered. We moved away and drove for some more time. Luckily a small building came to sight and saw that a maulavi was teaching some small children there. He listened to our plight and told that even if he explained the route, we won’t be able to make it to the main road. He would try to get somebody to show the way. Unfortunately he couldn’t find anyone. So he cancelled the class, freed the kids and came with us. After about fifteen minutes drive, he showed us the main road and left us to walk all the way back! May God bless him. While talking to him, we came to know that in those villages with hardly ten families in each, they have electricity and water supply. That gave me the answer how they could charge the mobiles. But that information made me feel so proud. If that is achievable in Gujarat (kudos to Sri Narendra Modi), we can achieve it in other parts of India too! The White desert of the Rann of Gujarat totally justifies the words, ‘Pristine beauty’. There was something magical about the place; it takes you totally into its bosom. You feel the expansiveness of the place, of the outer Universe and the Universe inside you. 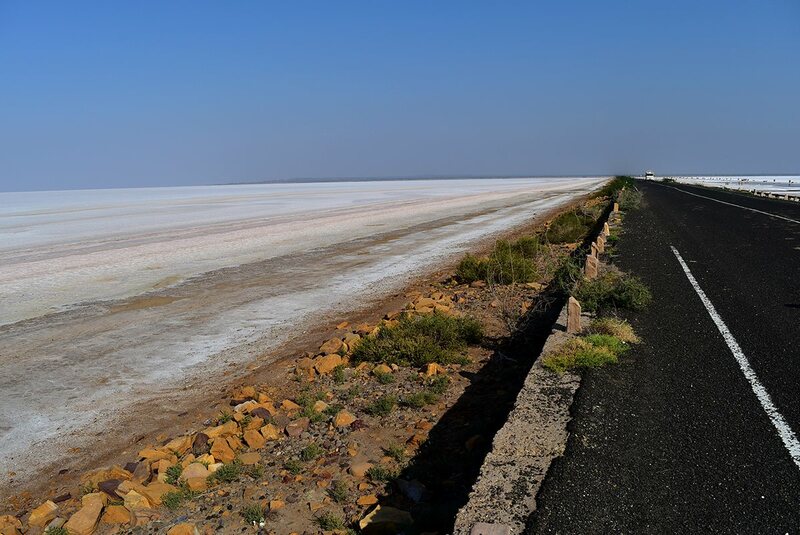 The Rann of Kutch is famous for its white salty desert sand and is reputed to be the largest salt desert in the world.‘Rann’ means desert in Hindi. 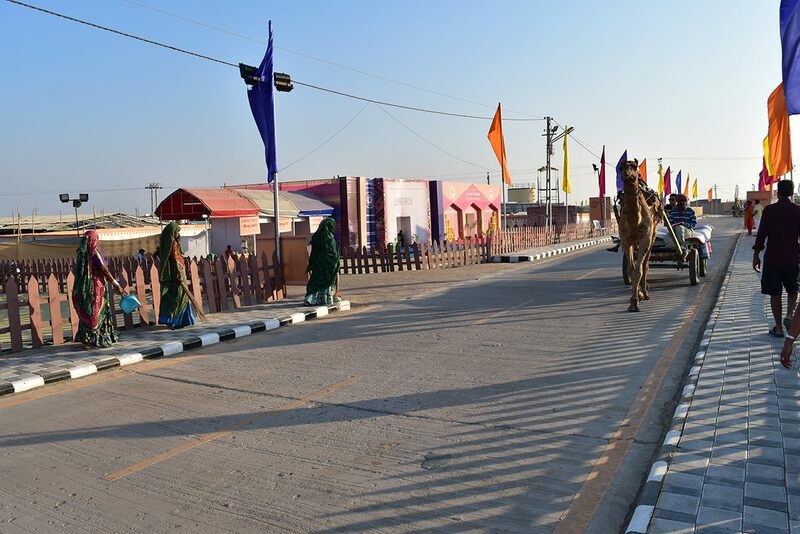 The government of Gujarat holds a three month long festival known as ‘The Rann Utsav’ every year starting from December to February. 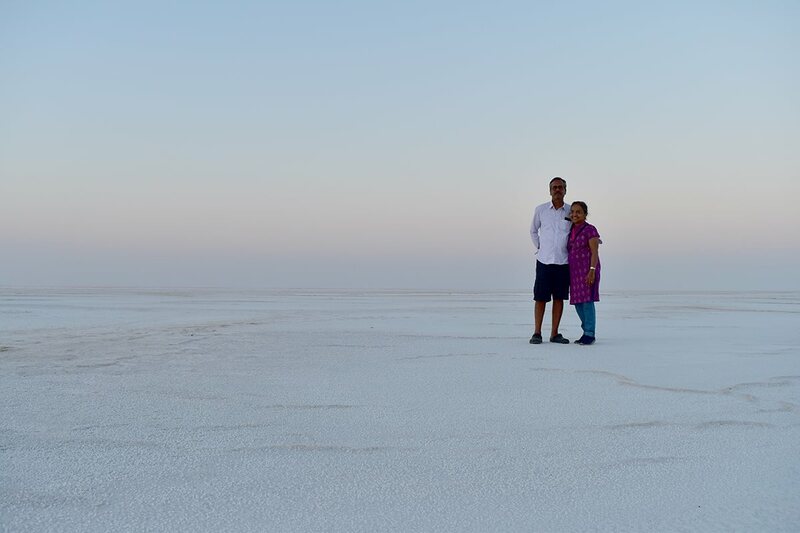 This is the main source of income for the locals around who welcome visitors from across the globe to savour in local delicacies and to witness the culture and hospitality of Kutch. We picked up a bit of salt from the ground and tasted. It tasted good, unlike the marketed varieties. Yes, we got to sample awesome foods too! We made it a point to drink milk every day. Buttermilk was served in plenty with lunch, and the yoghurt was delicious. 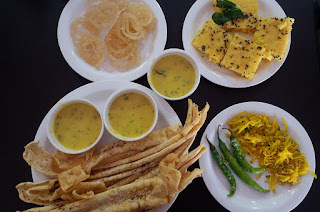 Gujarati thali was something that we really enjoyed. 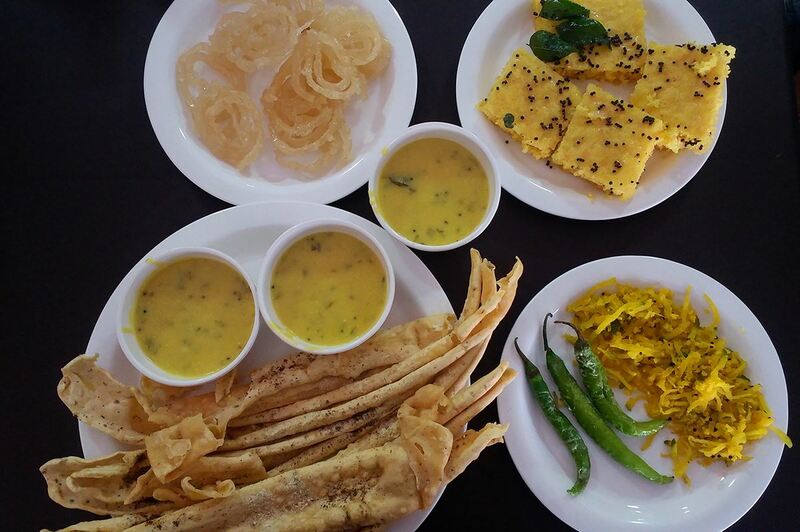 Kutchi dabeli, fafda, khaman dhokla, khandvi, all were sampled to our great satisfaction.